Using real-world examples and a case study, this book helps you master VB.NET from the ground up -- or rapidly migrate to VB.NET from whatever version of Visual Basic you've used before. Dana Wyatt and Robert Oberg present a thorough introduction to the .NET Framework and Visual Studio.NET from the perspective of Visual Basic developers at all levels. They examine the basic coding constructs of the language, and thoroughly explore the design of object-oriented programs with VB.NET. The book also includes substantial coverage of building next-generation Windows applications using Windows Forms. Finally, the authors introduce major .NET classes for collections, files, ADO.NET, and threads, showing VB.NET developers how to make the most of them. A case study helps leverage the skills you've learned throughout the book and guides you to building a complete system using VB.NET. 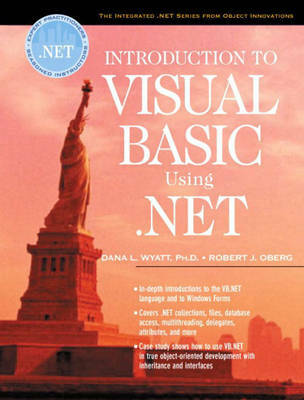 For every Visual Basic developer who wants to master VB.NET -- regardless of experience level.